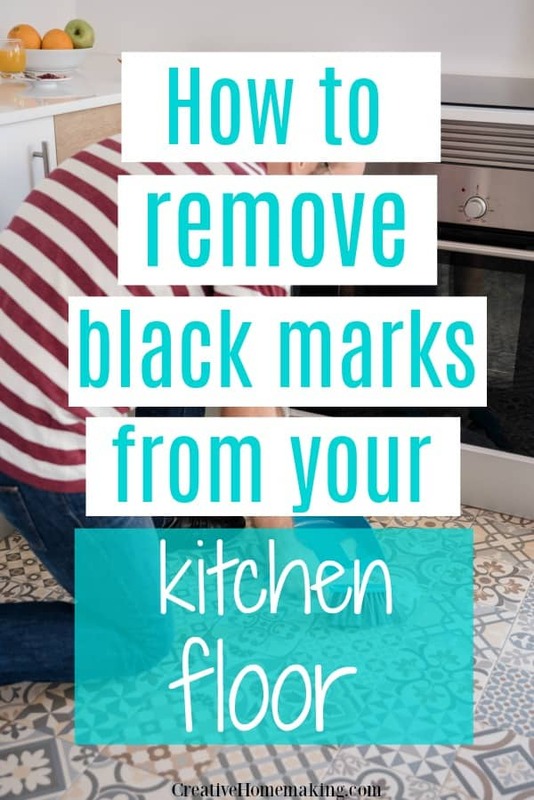 May 10, 2009 0 comments on "How to Remove Black Streaks from Your Kitchen Floor"
Need tips for removing black streaks from your kitchen floor? It is common to get black streaks left from scuff marks on vinyl and linoleum kitchen floors. Check out these great tips to easily remove these stubborn black streaks. Tip #2: Try Mr. Clean Magic Eraser! This is a wonderful product and it is easy to use. Tip #3: I’ve used rubbing alcohol on a cotton ball and it worked in seconds. I’d test a spot first to make sure it won’t mess the finish up. Tip #4: There is something called Goof Off, it will take those marks up off of the floor. The lighter fluid will work, but the Goof Off has a little better smell, is a little more pleasant to live and work with, and is reasonably inexpensive. 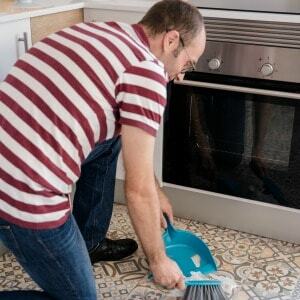 It will work for nearly any type of stain or spill on tile or nearly anything else.